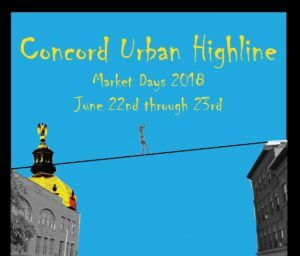 Concord Urban Highline Volunteer Application – Slackline U.S.
We’re going to Concord! Slackline U.S. is excited to announce we’ll be participating in Market Days 2018 in Corncord, New Hampshire this year with the addition of an urban highline! If you are interested in volunteering for Slackline U.S. during Market Days 2018 please fill out the volunteer application form using the link below ASAP! This entry was posted in News and tagged 2018, concord, Festival, highline, New Hampshire, Northeast, slackline, slackline us, Urban Highline. Bookmark the permalink.